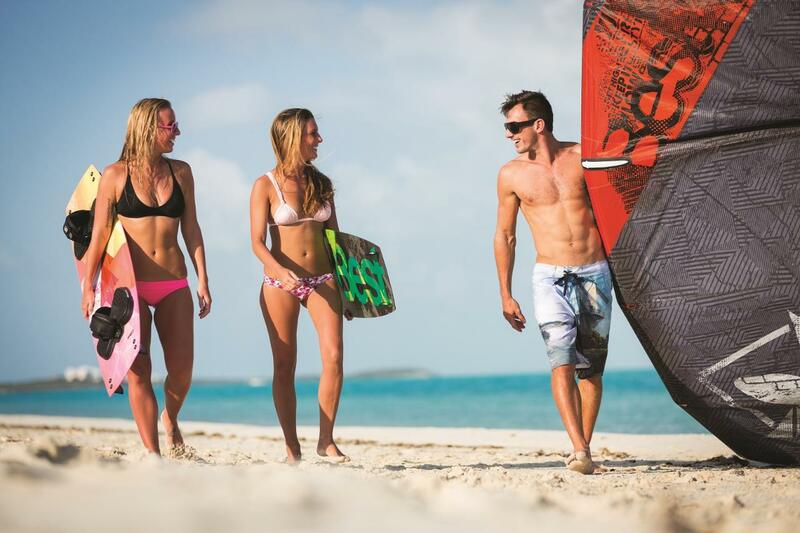 Join the most experienced kite boarding team in the Turks and Caicos Islands. Big Blue is the perfect platform from which to learn and enjoy the thrills of kite boarding and kite surfing safely. 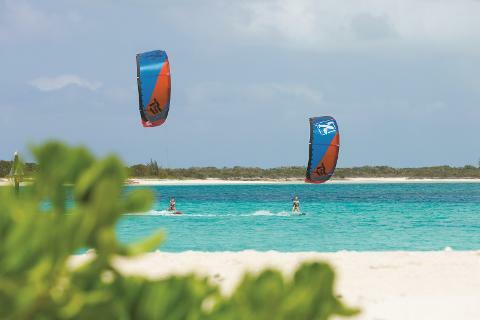 Perfect weather, warm seas, pristine empty beaches, shallow waters and year round cooling NE-SE trade winds make Providenciales and the Turks and Caicos a kiteboarders and kitesurfers dream. 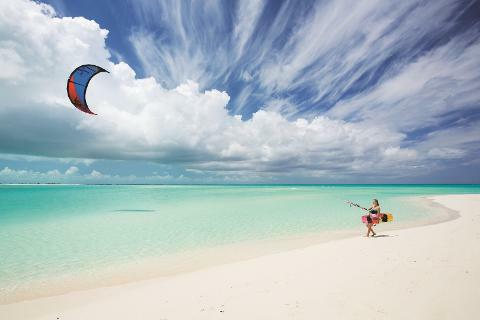 Beginner and experienced kiteboarders and kitesurfers will discover that the blend of these islands together with Big Blue’s expert kite instruction and vast local knowledge make for the perfect kiteboarding vacation cocktail. You have been warned! Big Blue continues to be the operation of choice for visiting kiteboarding professionals, industry magazine travel stories and kiteboarding product shoots. Powered by the Cabrinha kite and board line, Big Blue offers the best in equipment for instruction and rentals. Jet ski assisted lesson available, please ask. Hourly Lessons: Perfect for someone who has had a few lessons and looking to perfect your skills. Private and semi private are available with a minimum two hour lessons. Semi- private means its your own group, not mixed with others. 6/8/10 Hour Kite Package: You know it, you want it! You are doing this sport, so sign up for the complete package and get a deal. This price is only if all hours are completed. If for any reason you don't complete the hours, price reverts back to the private hourly rate. Beginner package only. Supervised Practice: Already up and riding on your own, just want someone to watch out for you... we can do that too! There are options with your own gear and with gear rental. The kite instructor will do a quick assessment of your skills and will let you know if you are ready for supervision or possibly need to combine with a lesson. Safety is our priority! Rate includes tax. No Wind, No Problem. Our extensive array of activities is the perfect alternative. Try Stand Up Paddle Boarding, Scuba or Beach cruising just for a start.